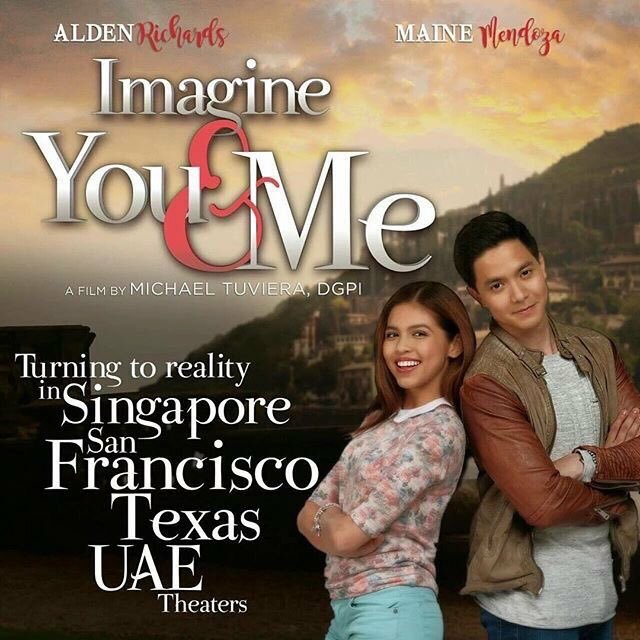 Catch Alden Richards and Maine Mendoza's first solo movie Imagine You and Me Showing in Dubai, UAE. 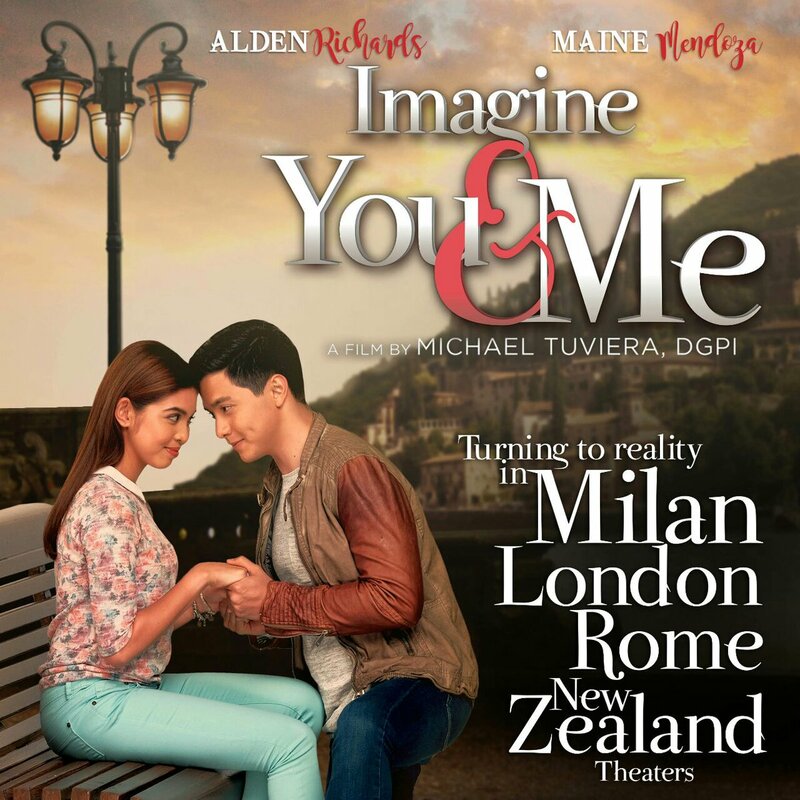 The director of the movie already announced the screening of AlDub movie in Mila, London, Rome and New Zealand Theaters and will soon announced the screening for Dubai and Abu Dhabi U.A.E. as many of Filipino clamor for the phenomenal love team from the Philippines' Movie screening in U.A.E. Imagine You and Me (stylized as Imagine You & Me) is an upcoming 2016 Filipino romantic film directed by Michael Tuvierastarring Alden Richards and Maine Mendoza. The film is to be released on July 13, 2016, 3 days before AlDub's 1st anniversary on July 16, under APT Entertainment, GMA Films, and M–Zet TV Production, Inc.